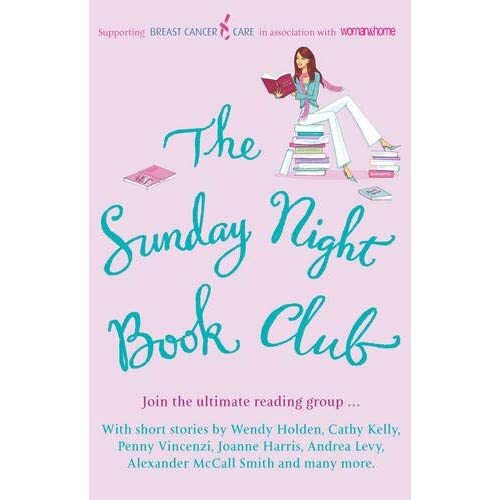 I’ve been made aware by Kate Long that she’s contributed to a collection of short stories, The Sunday Night Book Club, in aid of Breast Cancer Care. Others who’ve contributed are: Clare Boylan, Veronica Bright, Elizabeth Buchan, Clare Chambers, Mavis Cheek, Tracy Chevalier, Katie Fforde, Nicci Gerrard, Lesley Glaister, Tessa Hadley, Maeve Haran, Joanne Harris, Wendy Holden, Cathy Kelly, Andrea Levy, Santa Montefiore, Elizabeth Noble, Maggie O’Farrell, Patricia Scanlan, Alexander McCall Smith, Adriana Trigiani, Lynne Truss and Penny Vincenzi. I’m sure you don’t need me to tell you what a good collection this’ll be, or what a worthy cause the proceeds will go to.